Remington 870–The Remington 870 is a classic, American pump shotgun in .12 gauge or 20 gauge. (If you are shopping for a single mother or an elderly relative, the 20 gauge may be the wiser choice for the reduced recoil.) The 870 is the go-to shotgun for police departments and law enforcement agencies around the country. It is durable, proven, and easy to use, which makes it a great shotgun choice when you are looking for a firearm that is chiefly being acquired to use in life or death situations. Mossberg 500 Persuader–The Mossberg 500 Persuader is another classic pump shotgun on a classic pump shotgun platform; by the latter I mean that a model 500 can be acquired in a multitude of configurations. The Persuader model is especially designated for home defense and it has the magazine capacity to prove it. A Persuader holds eight 12 gauge rounds in the magazine and one in the chamber, for a total of nine. A capacity of that size, coupled with the Persuader’s durability, make it hard to find a shotgun better suited for convincing home invaders that they picked the wrong house. 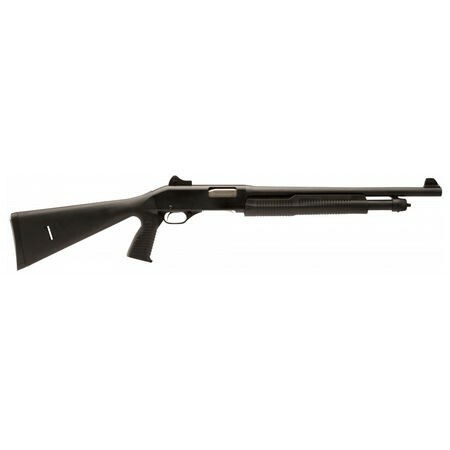 Winchester SXP Defender–The Winchester SXP Defender is a pump shotgun chambered in 12 gauge. It is Winchester’s home defense shotgun and it functions like the Remington 870 or the Mossberg 500. The SXP Defender also makes a great camp gun and because of this, Winchester advertises it as “easy to pack.” It has as five round magazine capacity plus one in the chamber for a total of six rounds of 3 inch 12 gauge firepower. Savage/Stevens 320 Pump–The Savage/Stevens 320 Pump shotgun is also a classic pump shotgun with a couple of twists: 1. It has comes with a pistol grip. 2. It offers a solid platform for the lower recoil 20 gauge round. This makes this a great gun for women, elderly individuals, or anyone who wants a shotgun without the 12 gauge recoil. This is a shotgun that a single mother can quickly master and thereafter keep at the ready–in a safe location of her choosing–for the purposes of defending herself and her children if someone with bad intentions forces their way into the home. 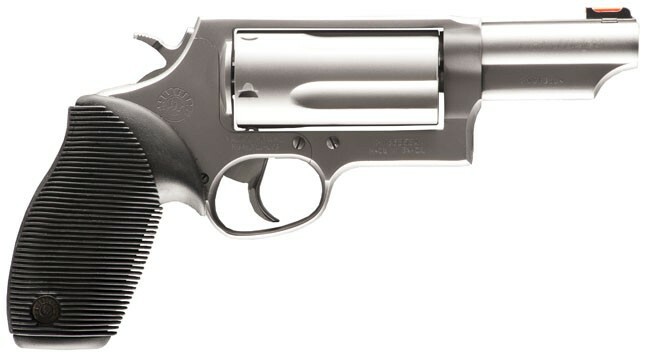 Taurus Judge Revolvers–Taurus Judge revolvers are not actually shotguns but a family of revolvers designed to fire .410 gauge shotgun shells; this means they are especially suited for self and home-defense. 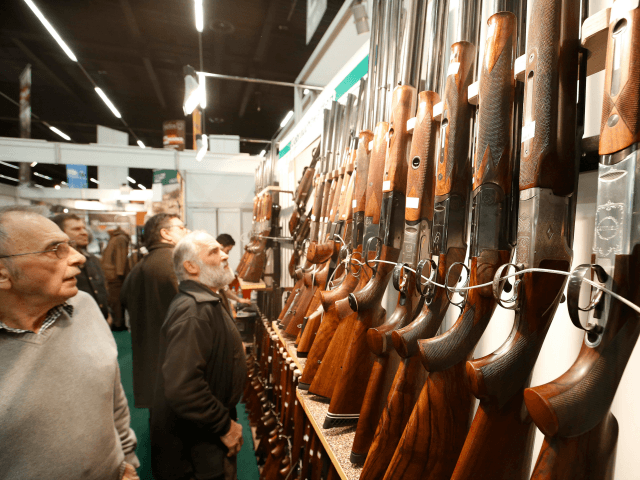 The Judge shook up the handgun market when introduced a decade ago, much as the Glock brand of handguns shook up the market in the 1980s. The Judge allows people weighing home defense options to have the advantages of a shotgun shell in a compact–and in some cases, concealable–revolver platform. The Judge has inspired myriad options in .410 ammunition, including Federal’s 410 Handgun line and Hornady’s Critical Defense rounds.